I know Mr. Bhatt since I was 6. He was my father’s boss and a family well-wisher. I just called him and asked him whether he can spare some time to a meaningful interaction about his career, corporate life, and the challenges he faced. He had a very busy schedule lined up, yet I convinced him for the following conversation. Q. You have worked in different field like fertiliser & chemical, glass factory, pharma as industrial officer, general manager, & Vice president Human Resource (HR), What are the challenges you faced in different set of this field exposure? A. The field I have worked with is – First one was engineering, then chemical, then electronic engineering, and lastly with pharma industry. Each industry has its own set of problems and challenges. During my work-phase in engineering, I had many industrial relation and interaction issues. I was new to the field, understanding the work culture. Currently, in pharma field according to sir, the issues are like limitation of the location, adjusting with the surrounding, and protecting the best interest of the organisation as well as people and my family members. Everything was still manageable at the end of the day. Presently in Torrent Pharma, there are challenges such as cultural difference, and ensuring uniformity of various compliance and policies is a challenge with such a diverse set of diversity in culture. Q. You have studies in different field from being Bachelor in Science to Masters in Social Welfare via LLB, what motivated you to study more and more? A. After BSc, I did my Masters in Social Welfare. Later on, I completed my law and LLB. I did study in all this field because that was the requirement of the job profile I wanted to purse in. This motivated me to achieve my goals. Q. One incident from your time in college that helped shape your professional life. A. My Post Graduation was quite in a disciplined educational environment, quite controlled environment. And also was quite demanding. We have an opportunity to work with external agencies, also working with various college events and understanding their compliance. The environment was quite demanding as, in short span of time we need to complete our assigned work and projects. So through my entire college time I learned how to manage time efficiently. Q. One passion of yours that helps you become better at your mainline career. 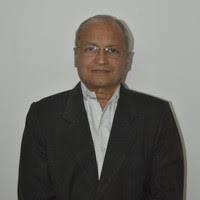 A. J N Bhatt sir’s reply: – Having completed my Masters in Social Welfare, I am slightly more committed and inclined towards development of human being. I ensure that people working with me are comfortable with me, that has always been my perspective and approach. Particularly, people who feel low, depressed and who feel downfall in their life, people who feel dis-privilege would like to help out those people. There is limitation to everything, every person has their own limitations to certain sets of problems and challenges, so I would help them find solutions to this challenges. Also you need to learn to balance your personal life as well as professional. Q. Can you share any moment where you felt like you were on cloud 9? Best Moment of your professional career? A. More than 250 families under me and the situation in Bharuch, Gujarat was very heart-breaking and miserable. I had 2 major challenges: – (1) Protecting their life, (2) Meeting with their day to day requirements and needs, their children school, tuition and all etc. All this lasted for around 10-12 days. This was a significant experience I face in my life, where the situation made me aware of limits and true potential. Another challenge I face was working with Videocon firm, where the semi-solid state of glass making was a slug which was to be disposed. That was a major issue. With various experimental permutation and combination, we tried to use it in the structure of my factory and tried to reduce the waste. Currently, in Torrent Pharma, the skill required to manage these kinds of special manufacturing unit/facilities is a challenge presently. So the work force we require to work at our company is quite different. Our products are being exported to other countries, so to synchronize with the requirement of the clients we need to have better talent and skilled labor. Ensuring that the employee align themselves and change according is the biggest challenge. We have been closely monitoring the skillset learning and creating the condition or environment where employees can learn it easily. Q.When you are looking for people in your team, apart from specific skills, what kind of attitudes and approaches do you look for in candidates? A. J N Bhatt sir’s reply: – The team and candidate selection are 2 different things. Talking about the team, people in Hr team should have a good amount of Emotional quotient (EQ), they should be adequately sensitive enough, so the colleagues feel comfortable interacting with them and they can easily approach them, that’s an important parameter for me and my HR team. We have been constantly training our employees on these parameters, to ensure that the work environment should remain convenient. We don’t believe in the interaction that is rude and harsh. During candidate recruitment apart from specific required skillset, we have certain policies, guidelines, and values. We look into a candidate whether how much he might be able to align with our organisation value and how well he/she can protect those values and how well we can satisfy to the expectations of the organization in futures. Thank you so much for giving me this opportunity to interact with you. Insightful article. Keep it up! Thank you so much Priya Yadav. Nice.. very insightful.. keep it up. Very insightful. Keep it up!!! Very perceptive and thoughtfully written. Quite interesting, and well written. Thank you so much Parth Sir..! Thank you so much, Pooja…. Thank you so much, Vijay Barkey. Thank you so much, Tanvi Momin. Very interesting and meaningful conversation, good one, keep it up. Thank you Shakthi Velan Sir. Inspiring Article. Great work Dhrumil..
Good job and nice working…. Keen analysis and inspiring 1!! Very thoughtful and well-written article.. Thank you so much Shefali Kushwaha. Great Read..!!! Keep it up..!!! Valuable thought shared by Mr.Bhatt, the greatest motivation comes through the drive to work for human development. Very thoughtful article by Dhrumil.Keep it up! Very thoughtful article ! Good work ! Very well-written and commendable. Keep up the good work. Good article.. keep up the good work!! !